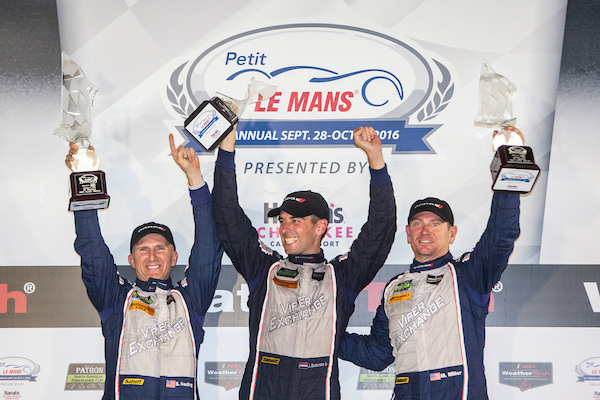 Braselton, Georgia (October 1, 2016) -ViperExchange.com and team drivers Ben Keating, Jeroen Bleekemolen and Marc Miller gave the Dodge Viper a victory in its last IMSA race on Saturday at Petit Le Mans in the No. 33 ViperExchange.com/ Gas Monkey Garage Dodge Viper GT3-R. The swan song victory was earned from the pole and put a storybook ending on what has been a successful and winning career for Dodge Vipers in IMSA competition. In addition to winning eight IMSA GT Daytona (GTD) races the last three seasons in Dodge Viper GT3-Rs, Keating is the principal of ViperExchange.com, the world’s largest Viper retailer. Bleekemolen, who started from the pole after setting a new track record in Friday qualifying, and Keating combined to lead the first two hours of the 10-hour Petit Le Mans race. Miller, the third driver in the rotation, kept the No. 33 in the lead pack throughout his driving stint, as did Keating in his second turn at the wheel. That paved the way for Bleekemolen to drive the final four hours of the race, during which he frequently led the competitive GT Daytona (GTD) class. Miller earned his first GT-racing victory in his fourth race co-driving with Keating and Bleekemolen. The trio first raced together last year at the 24 Hours of Le Mans. While ViperExchange.com didn’t exactly cruise to the hard-earned race win, Keating wants to celebrate the Viper’s curtain call victory in cruising style. Learn more and book now at www.CruisinWithTheMonkey.com. Further cause for celebration, Saturday’s victory also secured second-place IMSA GTD season-championship honors for Keating, Bleekemolen and the No. 33 ViperExchange.com team, which is run by Riley Motorsports. ViperExchange.com came into Petit Le Mans second in the standings and successfully defended the position against four challengers that were all within 10 points of the No. 33. The championship-winning Ferrari team and drivers ended the year with 330 points, the ViperExchange.comsquad wrapped up with 303 points, and the third-place Lamborghini team closed out with 291 points. Next up for ViperExchange.com is Monday night’s IMSA WeatherTech SportsCar Championship Awards Banquet that will be held at nearby Chateau Elan Hotel and Resort. Keating and Bleekemolen and theViperExchange.com No. 33 will be presented with their GTD driver and team championship runner-up awards at the event. – While the Dodge Viper will no longer be seen in IMSA competition, the successful GT3-R race car is not going away from the worldwide racing scene. Several Dodge Viper GT3-Rs will continue to compete overseas, and a renewed effort in Pirelli World Challenge is in the plans for 2017. “The short-term future with the race cars, and we are racing over in Europe right now, is to be in Pirelli World Challenge next year with multiple teams,” said Erich Heuschele, SRT Motorsports Engineering Manager. “Hopefully we will have at least three entries, and we are working on setting that up right now. Unfortunately, we are going to walk away from IMSA for 2017, but we still have GT3-Rs in the field, we still have customers that want to race this car, and they are buying race cars to run in World Challenge. About Gas Monkey Garage: In 2002, Richard Rawlings launched Gas Monkey Garage. The Garage created and transported automobiles for customers worldwide. In September 2013, Rawlings started Gas Monkey Bar N’ Grill in Northwest Dallas with a second location at Dallas Fort Worth International Airport that opened in March 2014. In October 2014, Gas Monkey Live, a venue dedicated predominantly to live music, was opened. 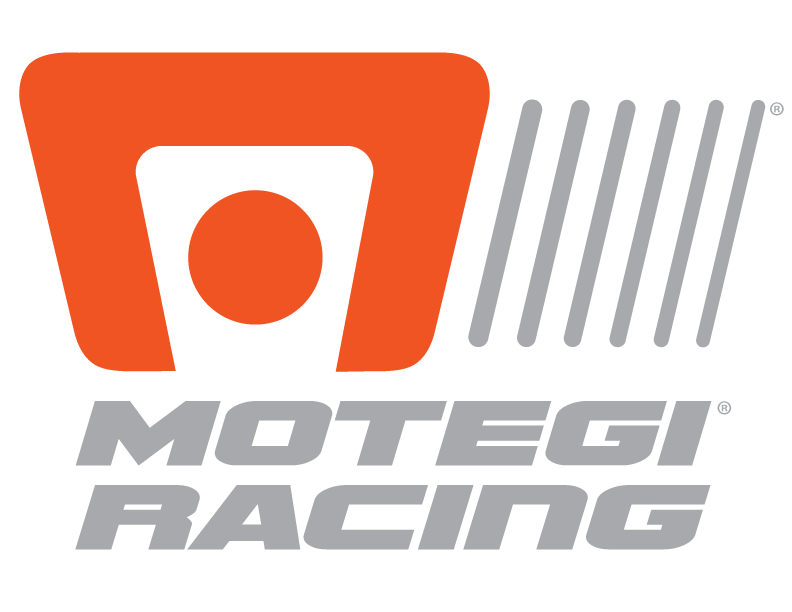 In 2016, Gas Monkey Garage will partner in three motorsports efforts with the ViperExchange.com Riley Motorsports Dodge Viper GT3-R in the IMSA WeatherTech SportsCar Championship, the Dreyer & Reinbold Racing Gas Monkey Garage Special in the 100th Indy 500 and the Laughlin Motorsports Pro Stock in the NHRA Mello Yello Series. About Cruisin’ With The Monkey: Cruisin’ With The Monkey, March 19 – 26, 2017, is a trip throughout the Western Caribbean with Richard Rawlings, and some of his Monkeys from Gas Monkey Garage, aboard Holland America’s luxurious Nieuw Amsterdam. Setting sail from Fort Lauderdale the day after the 2017 running of the 12 Hours of Sebring, the high-seas adventure will also have winning ViperExchange.comDodge Viper GT3-R competitors Ben Keating, Jeroen Bleekemolen, Team Director Bill Riley and a few of their racing teammates and colleagues onboard for the week-long party at sea. Check out the full list of professional motorsports personalities already booked for the cruise at www.CruisinWithTheMonkey.com/motorsports and learn more and reserve your spot now at www.CruisinWithTheMonkey.com.